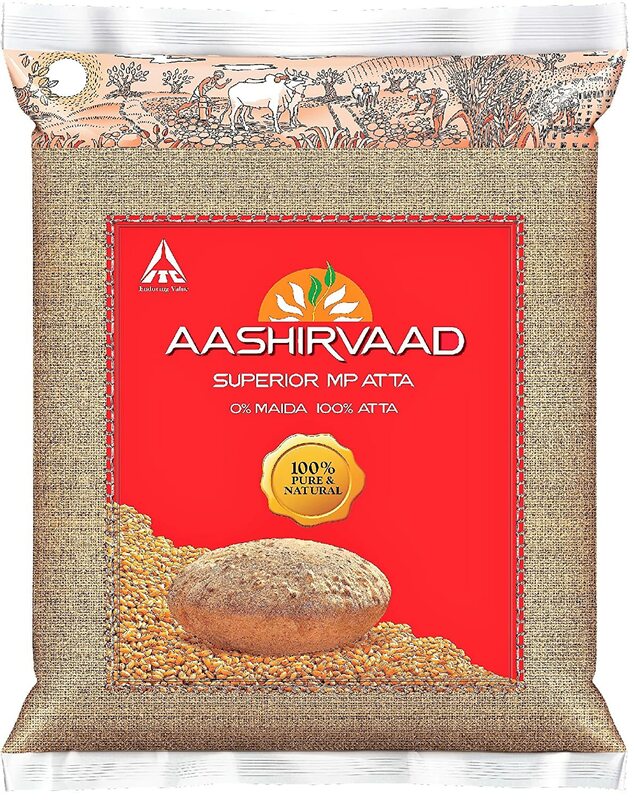 Aashirvaad Whole Wheat Atta 5 kg Offers Deals Online - Buy Aashirvaad Whole Wheat Atta 5 Kg Worth Rs. 175 At Rs. 168 Only From Amazon. Delivery Fee: Prime Rs 20 | Non-Prime Rs 49, FREE Delivery Above Rs 599. Make Pay Online Or Pay At The Time Of Delivery. This offer is open to all customers. Grab this deal now. Select the relevant items you wish to add to your cart. How to Buy Aashirvaad Atta Online at the Less Price? How to Buy Aashirvaad Atta Online? What Are the Best Offers on Aashirvaad Atta 10kg? Which Cities is Amazon Pantry Present in? Rotis are a must to all those who follow an Indian diet. The whole wheat grains are full of nutrients that are essential for our health. Aashirvaad Atta is one such brand that never compromises with the quality and wholesome goodness of wheat in Rotis. Moreover, the Aashirvaad atta is available on several e-commerce websites that sell grocery and daily requirement products, such as Amazon Pantry and Grofers. Therefore, you can easily buy Aashirvaad Atta Online and get it delivered to you home directly. It is important for your family to eat best to stay healthy. Aashirvaad atta ensures that the product ingredients are nurtured carefully. Plus, they choose fine grams that are later processed through four stage advantage process. In addition, these grains are processed through 3 stage cleaning process to maintain the high levels of hygiene and food safety. Furthermore, their modern chakki grounding procedure preserves the natural goodness as well as nutrition. Also, special care is taken to keep the proteins, carbohydrates and fibres intact and in good quality. At last, you get 100% Sampoorna Atta, without a single percentage of Maida. At present, there are a number of e-commerce platforms that allow you to buy groceries and other daily needs online. Aashirvaad Atta is available on Amazon Pantry, Big Basket, Grofers, and many other online grocery shopping websites. There are two advantages to buy Aashirvaad Atta online. First, you can compare the Aashirvaad Atta 10Kg price on different online portals and buy it at a discounted price. Secondly, you can get the heavy 10 kg Aashirvaad atta delivered right at your doorsteps. Additionally, you can check the current Aashirvaad atta 10kg price in Big Bazaar, before visiting the offline store. 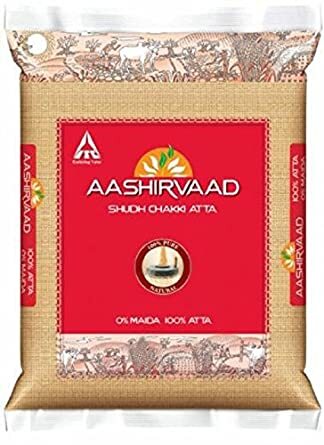 Shop for Aashirvaad Atta online along with other grocery product from Amazon Pantry and get 10% cashback on Rs.2,000 and 5% Cashback on Rs. 1,000-1,999. However, the offer is available only if you pay using Amazon pay balance. Buy Aashirvaad Atta online at Amazon Pantry store and pay with BHIM UPI to receive 10% cashback up to Rs.100. The cashback amount will be credited to your Amazon Pay Wallet. Amazon offers lowest Aashirvaad Atta 10kg price and an opportunity to win up to Rs.100 or 10% cashback when making payment with a Visa Card. However, the offer is valid on only two cashless purchases. Check the lowest Aashirvaad atta 10kg price on Amazon and purchase it using your Amazon Pay Balance to grab flat Rs.100 cashback. However, the minimum amount to be added to your Amazon Pay wallet should be Rs.1,000.